Seminar on Higher Education Management for Developing Countries in 2018 China. 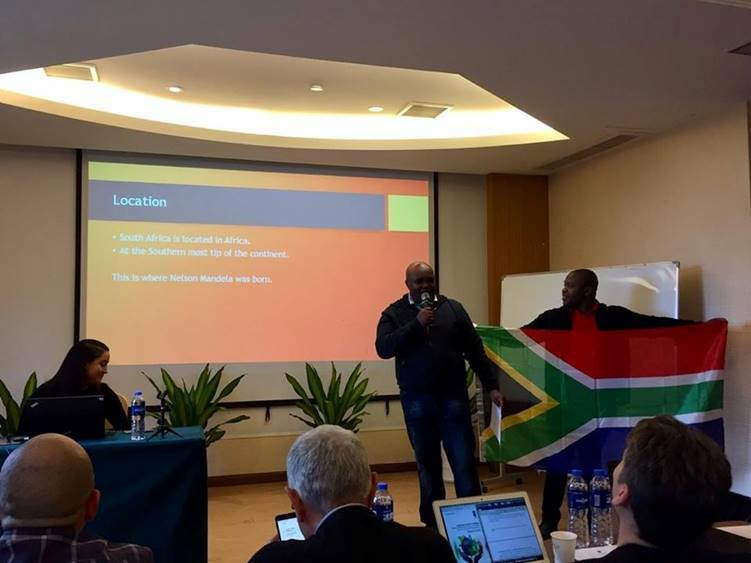 Well done to our South African delegates (IEASA members: Ms Jade Bailey (IEASA), Mr Mzolisi Payi (WSU), Mr Danny Bokaba (CUT) and Mr Jabu Makhubela (UL)) on delivering such a vibrant and informative presentation One of the easiest ways to stand out at an academic seminar is to give a memorable presentation, and indeed it was one! 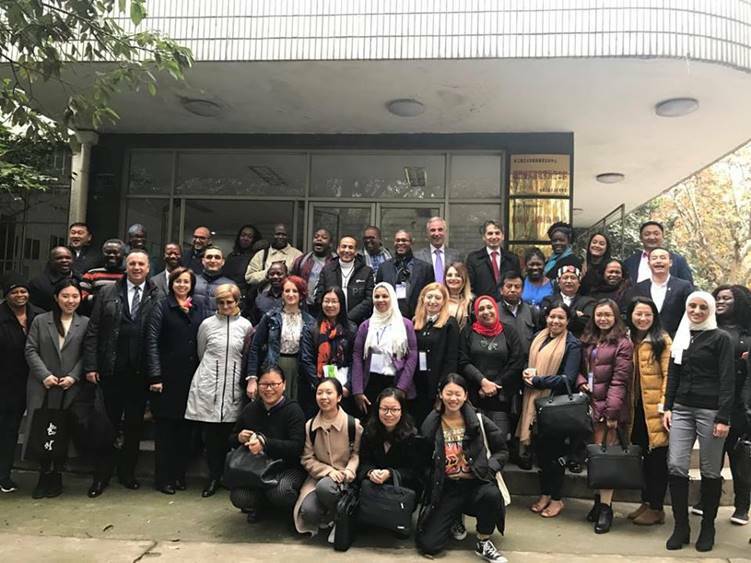 Congratulations to the delegates, who have successfully completed the programme on Higher Education Management for Developing Countries sponsored by the Ministry of Commerce of the People’s Republic of China and the Embassy of the People’s Republic of China in South Africa. A special shout out to the South African delegates (Ms Jade Bailey, Mr Mzolisi Payi, Mr Danny Bokaba and Mr Jabu Makhubela) who attended. See if you can spot them in this group photo taken at Zheijang Normal University in Jinhua, China! 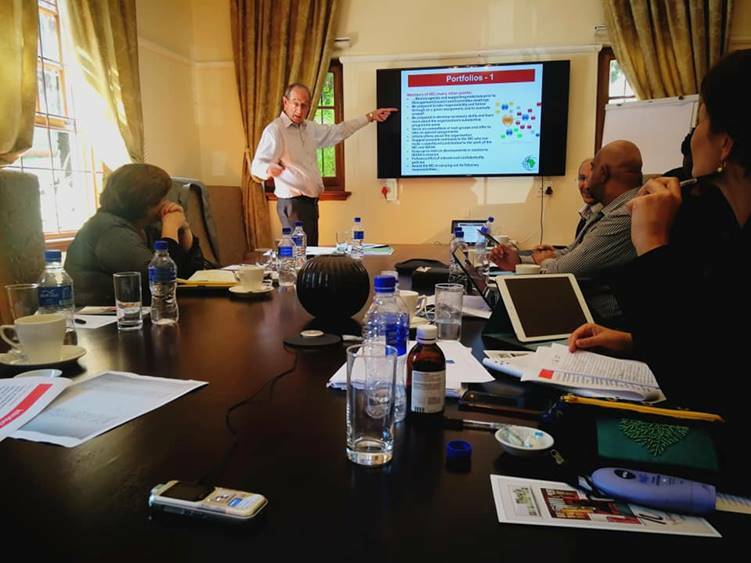 The Council Workshop was held on 21 – 22 February 2019, hosted by the Universities of Johannesburg and Witwatersrand. The IEASA Office Staff and the Management Council discussed strategies and structures of the organisation with well-known facilitator, Dr Derek Swemmer. – 13 Things Your Board Must Know About Your NPO (Ritchie 2013). IEASA invites academics from all disciplines, professional practitioners/researchers, innovators, educators, students, organisations and individuals interested in international higher education to its annual conference. The two conference days will be at the Lord Charles Hotel, followed by a third day of Workshops at Stellenbosch University. The Fourth Industrial Revolution or “4IR” refers to the emerging environment in which many dimensions of how we live and work have been dramatically disrupted by a fusion of technological breakthroughs in a range of areas including digitisation, robotics, artificial intelligence, the Internet of Things (IoT), nanotechnology, quantum computing and biotechnology. What does this fusion of cyber-physical systems mean for how we conduct and what we include in Research, Teaching and Learning, Community Engagement and Partnerships in Higher Education? This multi-disciplinary conference welcomes academic papers, thought pieces and experiences of 4IR in Higher Education, in relation to the above thematic questions. The conference will consist of a mix of plenaries, panel discussions, breakaways and “lekgotla” sessions around the broader themes. IEASA is also delighted to host the leaders of a range of International Education Associations, who belong to the Network of International Education Associations (NIEA), for their second official meeting of 2019. IEASA is pleased to continue its collaboration with the International Students Association of South Africa (ISASA) who will hold their annual conference on August 23rd at Stellenbosch University.